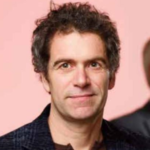 Erik van der Vleuten (1968) is Professor of History of Technology at Eindhoven University of Technology TUE, Chair of the Eindhoven History Lab, and scientific director of the Foundation for the History of Technology SHT. He studies the historical co-construction of infrastructure, societal, and environmental changes. Erik has been part of Tensions of Europe since 1999. He co-directed the ToE research programs Networking Europe (1999-2005) and The Making of Europe’s Critical Infrastructure EUROCRIT (2008-2013); served on various ToE committees; and acted as ToE Chair in 2013-2015. Today he serves on the ToE Management Committee. Erik initiated and coordinates the second ToE flagship program Technology and Societal Challenges, ca. 1815-2015. The Making of Europe’s Critical Infrastructure: Common Connections and Shared Vulnerabilities (Palgrave Macmillan, 2013).